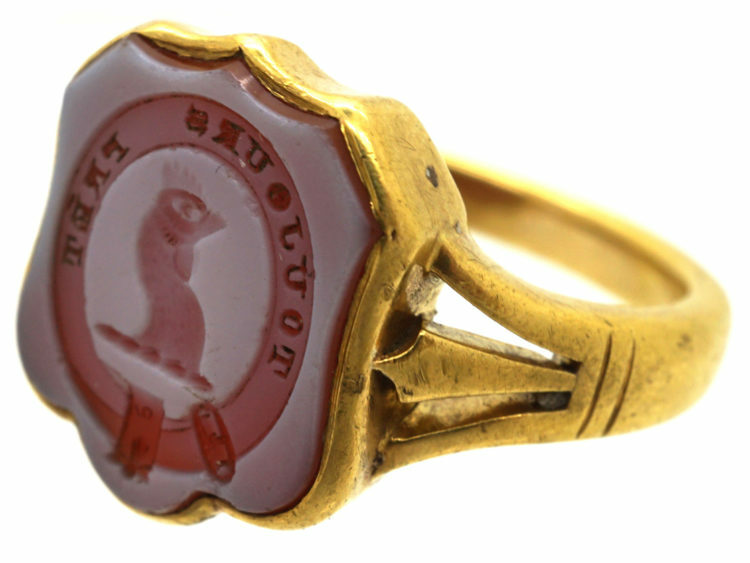 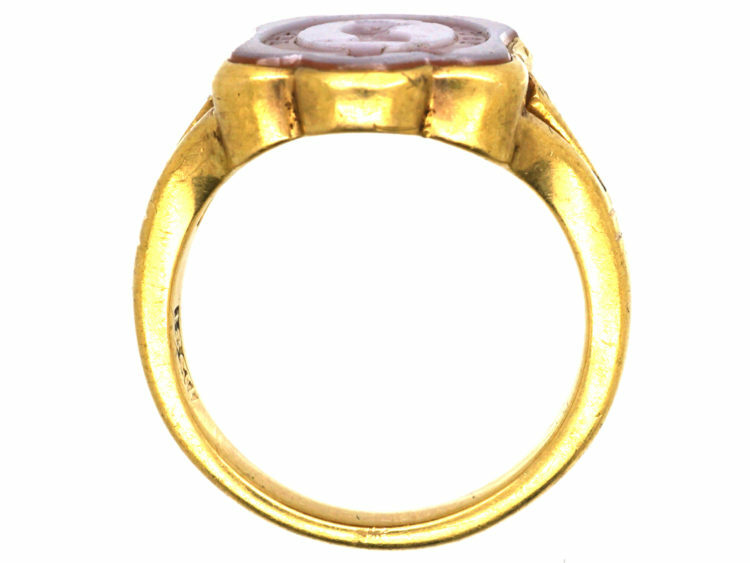 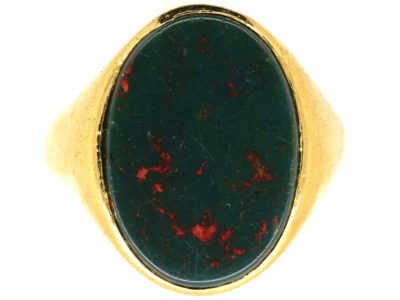 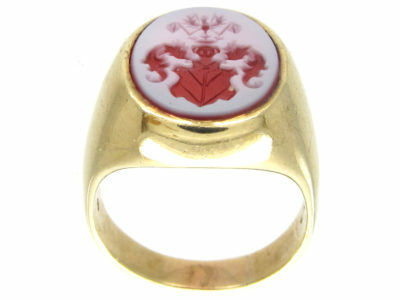 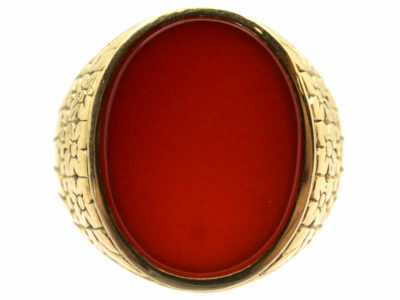 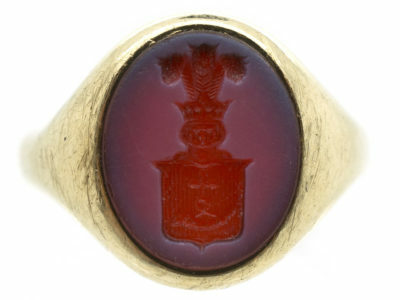 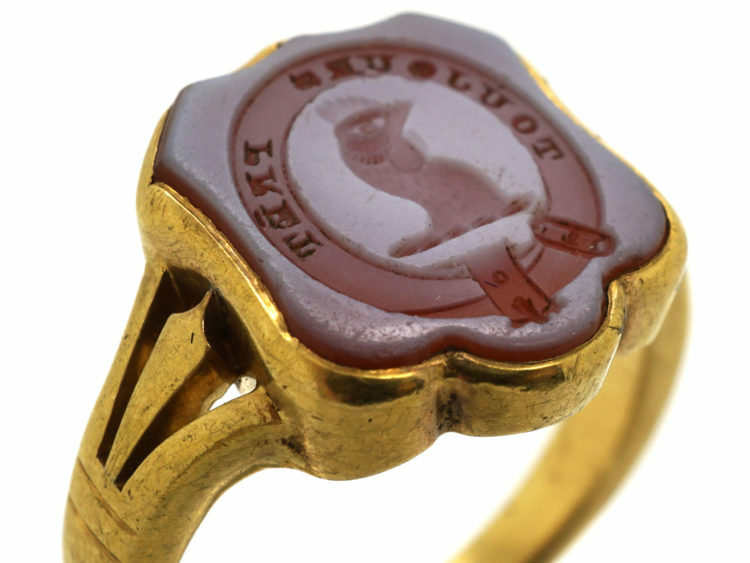 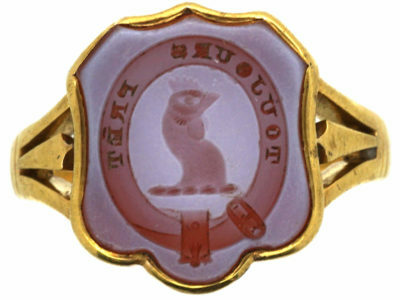 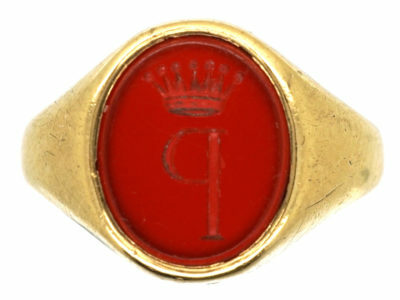 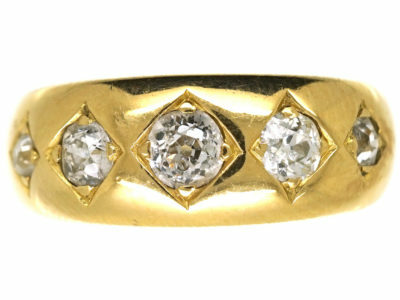 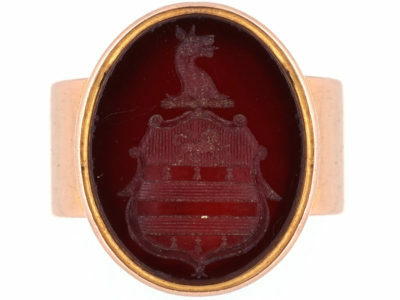 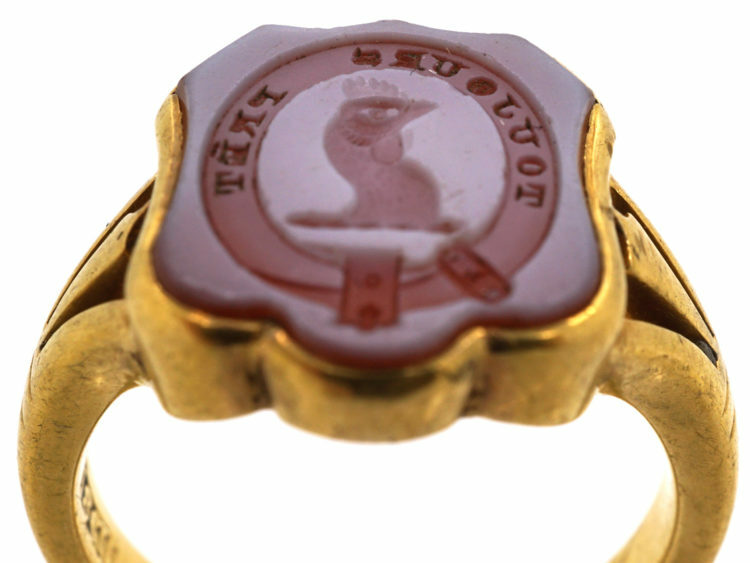 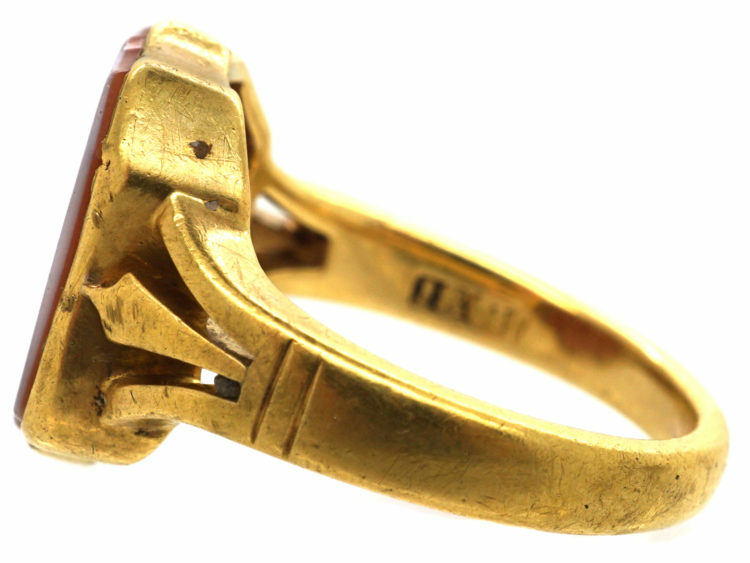 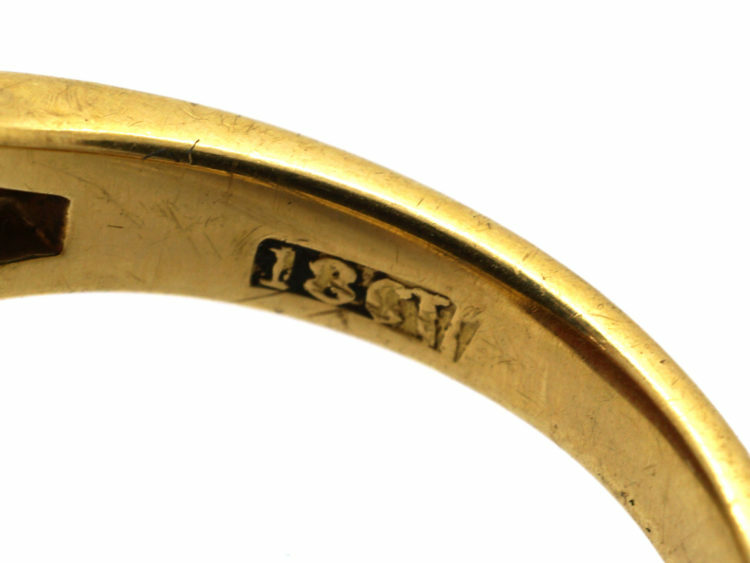 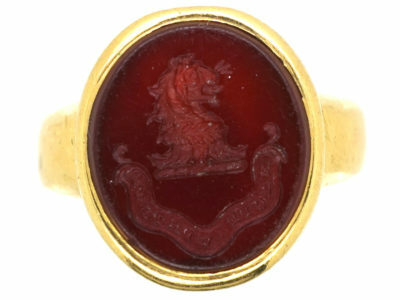 A good Victorian 18ct gold signet ring that was made circa 1880. 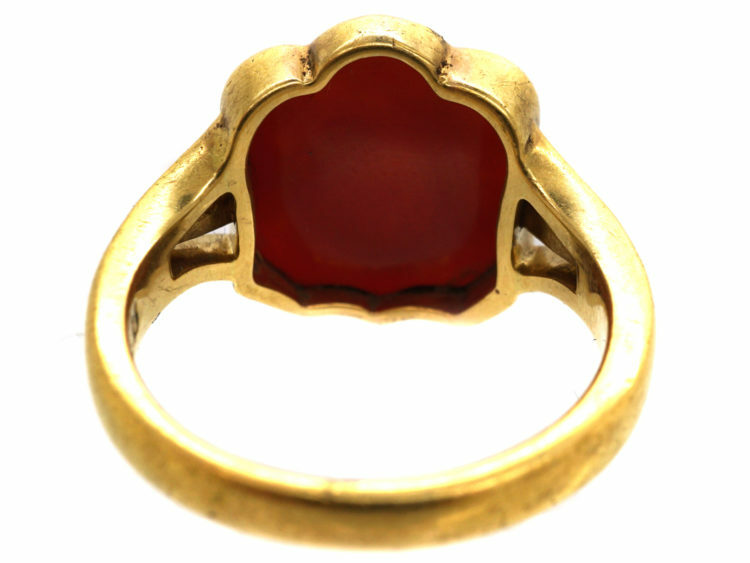 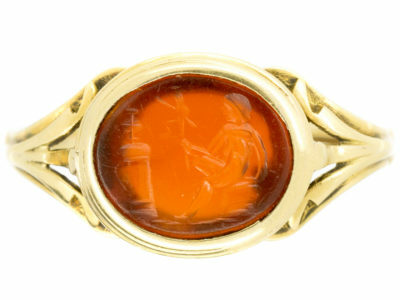 The carnelian has a carved intaglio of a cockerel’s head with an inscription in French “Toujours Pret” meaning “Always ready”. 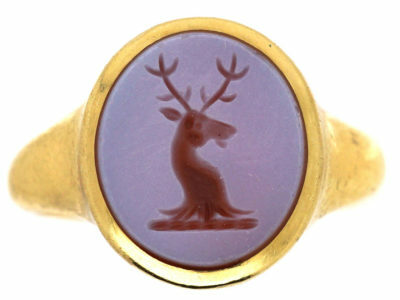 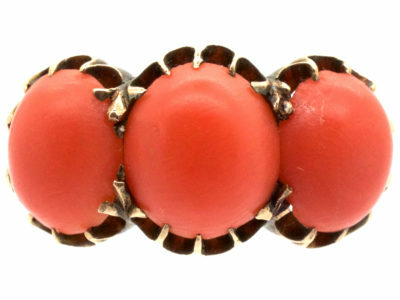 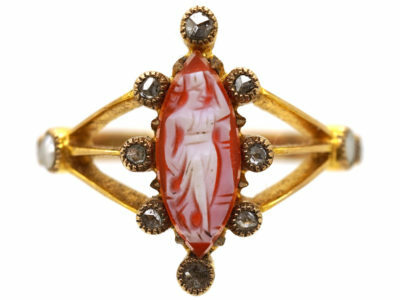 This ring would be ideal for someone who has a sense of humour!